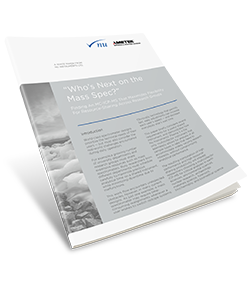 Who´s Next on the Mass Spec? World-class spectrometer designs prioritize the technical needs of their users — but must also consider the real-world challenges encountered during daily operation. For example, a growing number of university departments and research groups must share expensive resources such as mass spectrometers. Busy researchers from different departments must schedule carefully to maximize precious analytical time on a shared instrument, while minimizing downtime due to malfunctions. This paper briefly considers several requirements for a useful shared instrument and demonstrates how Nu Instruments’ Plasma 3 MC-ICP-MS is the only multicollector instrument that seamlessly allows for analysis of all sample types in labs that need to accommodate widely varying research interests, without compromising analytical performance and precision for isotope ratio analysis. I acknowledge that I have read and understood the personal data related privacy information and consent to the fact that my data is being saved and processed. I also agree with occasionally receiving e-mails from Nu Instruments. © Nu Instruments. All rights reserved.